Evidence mounts that former Philippine President Gloria Arroyo rigged the 2004 presidential election. Speculation that the Philippines’ 2004 presidential election was rigged has rarely abated despite a concerted effort by then-President Gloria Macapagal-Arroyo to convince a sceptical electorate that everything political was, and always had been, above board. She still insists nothing untoward was done at the polls. Any evidence to the contrary was always going to be difficult to produce until her tenure ended last year with the election of Benigno Aquino as president, a man who is anything but an Arroyo cheerleader. A senate inquiry has since been established, and the headlines have been even more revealing than Arroyo’s critics could have hoped for, thanks largely to evidence produced from a former Sharia court judge, Nagamura Moner. Moner has told the inquiry how election officers in some areas of Mindanao, in the country’s south, were paid to change votes in favour of Arroyo during the 2004 poll after results showed Fernando Poe Jr was winning by a landslide. He said that about $20,000 dollars was spent in having results changed in Tawi-Tawi and Sulu alone, and that the money used was ferried by a helicopter owned by Arroyo’s husband, Mike. Moner also told the enquiry how Mike Arroyo had, on May 14, 2004, instructed him to ensure Mrs Arroyo’s victory. ‘He just told me to do everything for the president and after the elections I will take care of you and your family,’ Moner said, adding he had been advised to travel to Cotabato City, Tawi Tawi and Sulu to find a way for Arroyo to win as she was apparently losing in those areas. ‘You were bribing election officers?’ Senate President Juan Ponce-Enrile asked. ‘Yes, your honour. Although I have not met them,’ Moner responded. 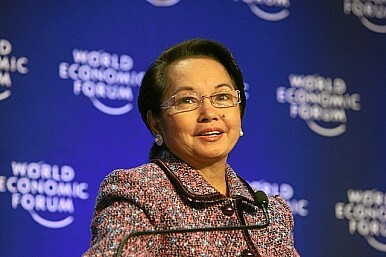 His evidence was delivered as officials announced that two major corruption complaints will be filed against Arroyo. Budget Secretary Florencio Abad, meanwhile, said the credibility of the Aquino administration’s pledge to battle corruption hinges on its ability to prosecute Arroyo and other officials. Abad declined to release details of the criminal cases against Arroyo, but suggested that authorities could file them before Christmas. The former president is also facing additional charges of plunder, with claims that she pocketed $35 million from a 2007 contract given to a Chinese telecoms company. Arroyo, her husband and two associates allegedly acquired $35 million from the $329 million deal she awarded to ZTE Corp, according to a complaint that has been filed with the anti-corruption authorities by a lawmaker. Arroyo’s predecessors Joseph Estrada and Ferdinand Marco also faced corruption allegations after leaving office. President Aquino’s mother was instrumental in the removal of Marcos during the People’s Power Revolution of 1986, and won last year’s election with the slogan ‘If There’s No Corruption, There’s No Poverty.’ It’s a mantra that has set the agenda for his first year in office, and one that has left Arroyo with much to lose.